the recipe is by Lena, forum «Cook at home». It is simply matchless bread, delicious and flavorful, with a crispy crust! 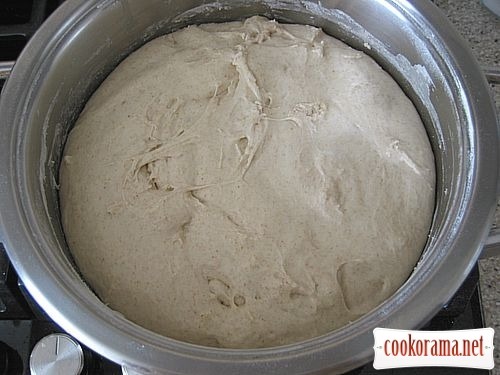 Mix in bowl flour, yeast, salt, sugar and oil, then stirring, pour water, dough will be viscous, stir at first with spoon, and then use a mixer with kneading tools, knead dough for 5 min, then cover bowl with dough and let it rise in warm place for 1 hour. 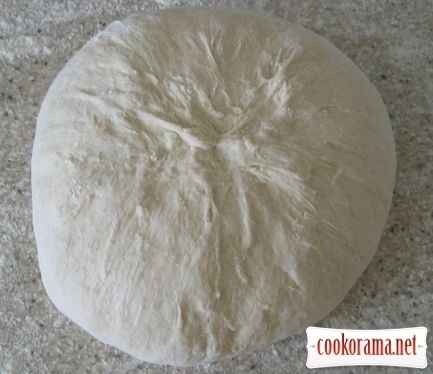 In hour shift dough on well sprinkled with flour table, do not knead a lot, just slapping with hand make a rectangle, next roll it in envelope and form a ball, pinch edges on top, cover dough with film and leave it for 30 min, till heats the oven. Put in the oven saucepan with lid, turn the oven on at 250 degrees. In 30 min carefully remove saucepan from oven, remove lid, gently shift dough in saucepan, trying not to trample it, if it is trampled make a pinch on top. Cover with lid, put in the oven for 30 min, reduce temperature at 230 degrees. In 30 min remove lid, reduce temperature at 200 degrees, bake bread for about 30 min, till readiness. Cool ready bread, covered with clean dry towel. 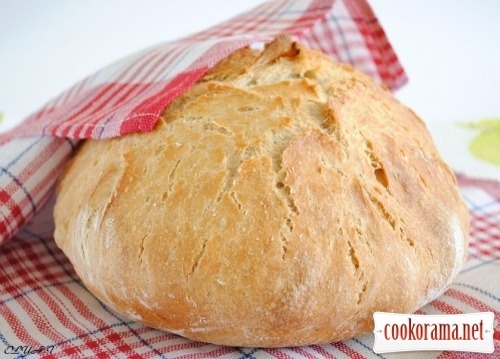 Top of recipe "Bread from saucepan"